With either the 2018 Porsche Macan or the 2018 Jaguar F-Pace, you can get a base-level trim without compromising significantly on power. On the Macan, you’d get a 2.0-liter turbocharged inline 4-cylinder (I4) engine that produces 252 horsepower and 273 lb-ft of torque. Although the base-level F-Pace also has a 2.0-liter turbocharged I4, it is less powerful – at an output of 247 horsepower and 269 lb-ft of torque. With a 0-60 mph time of 6.3 seconds and a top track speed of 142 mph, the 2018 Porsche Macan proves that you don’t need a huge, hulking engine to be a major accelerator. Indeed, those numbers are produced by hooking up the 2.0-liter turbocharged I4 with the standard all-wheel-drive system and a 7-speed automatic transmission: components that you wouldn’t necessarily expect to be involved in high performance. The 2018 Jaguar F-Pace has a standard rear-wheel drive, which helps to better distribute weight on the vehicle, since the engine is placed on the front. And it goes with an 8-speed automatic instead of a 7-speed. Yet it achieves a 0-60 mph of 6.4 seconds and a top speed of 135 mph, which are slower numbers than the ones supplied by the base-level Macan. More so than the 2018 Jaguar F-Pace, the 2018 Porsche Macan is commended for how easy it is to use its infotainment system. There are lots of buttons around the 7-inch screen for exercising your preference for physical controls, and they are logically arranged for optimal operation. Overall, the 2018 Porsche Macan is loaded, featuring a 10-speaker 150-watt sound system, HD Radio™, a CD/DVD player with MP3 playback ability, 11 GB worth of data storage ability, two USB ports and an audio jack for hooking up mobile devices, wireless technology for hands-free phone operation and audio streaming, and a three-month complimentary subscription to SiriusXM® satellite radio. 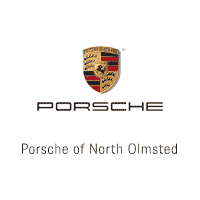 To check out the 2018 Porsche Macan, rather than the 2018 Jaguar F-Pace, we welcome you to our dealership in North Olmsted, Ohio. We have hundreds of vehicles to make your pick from, and one of our Porsche specialists would be more than happy to help you out with the vehicle that has your preferred equipment and options. Call us today to set up an appointment for a test drive today.